With the rest of the world, or at least a sizeable portion of it (me included) fervently hoping for some final Led Zeppelin swansong (ha ha) sometime soon, Robert Plant has continued on his merrily eclectic way, indulging his passion for all manner of non-metallic musical elements. His output over the couple of decades has seen him dabble in World Music (whatever that really means – I thought all music was World Music), Mississippi Delta blues, folk-rock, bluegrass – pretty much everything really. And fair play to him for doing so. I have witnessed enough treading water by my heroes at concerts in recent years to last me a lifetime. Proceedings this evening opened with a brace new to me: New World and Turn it Up. The former, oddly, put me in mind of U2's Bad at points, whilst the latter relied on a delightfully dirty groove by guitarist Liam “Skin” Tyson to do the business. Both were enjoyable enough, but I found the next one The May Queen, a touch lightweight. All the King's Horses, which had originally appeared on Plant’s Mighty Re-Arranger album back in 2005, represented the first real highlight of the show; housing a beautiful melody which Plant could proudly display alongside his finest from those LZ Days. 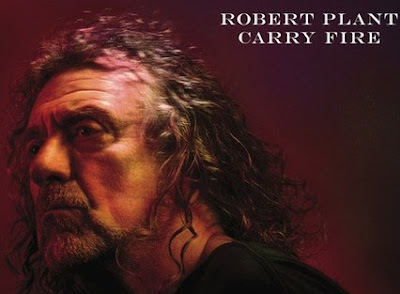 Carry Fire, after a slow start developed into an eastern influenced jam which perhaps gave an indication of the places Page and Plant may have visited had they persevered with their mid-Nineties No Quarter experimentations. Little Maggie, I really enjoyed: stripped to the bone Appalachian Americana featuring both banjo and fiddle. Who would have thought it? The word "leonine" comes to mind here. Interspersed amongst the aforementioned were a sprinkling of tunes originally recorded with his old band – judiciously chosen to ensure they did not either dominate proceedings nor appear out of place. Best of the covers by some distance was Misty Mountain Hop. This evening’s arrangement completely ignored John Paul Jones’ keyboard groove, relying instead on some pleasingly strident riffing from guitarists Tyson and Justin Adams to propel the thing along; Plant belting the out the lyric like a good ‘un. The whole sounded like nothing so much as something which would have sat rather well on Who's Next. The final encore Whole Lotta Love, as may be expected, elicited the loudest cheer of the evening, but really it’s a riff I personally want to hear no-one playing, unless their christian names are James and Patrick. A couple of slightly befuddled moments by Plant during his between-song banter did offer some light relief, but they were noticeable enough for many of us to wonder if Father Time was not only catching up with Percy, but actively tugging on his coat tails. He occasionally came across like a slimmer version of Corrie’s Eddie Yeats (or Twiggy from The Royle Family, if you prefer). The 69 year-old voice held up fine though – at least I think it did. Odd echoey bits during Babe, I'm Gonna Leave You and Whole Lotta Love, did make me ponder the extent to which his vocals were being manipulated electronically. The drummer, we learned during the band members' intro, had been entrusted with the suspicious-sounding activity of “Sampling”, this evening.